Planning a cocktail party is fun and you have quite a few options when it comes to the drinks. One of those is to develop a drink menu that offers guests a choice between a few drinks that you select in advance. It's a great way to cut down costs and your drink menu can fit any party theme. Why Go With a Drink Menu? Drink menus are a chance to show off your creativity and party planning skills. It's a little more interesting than serving a punch and, with a limited selection of drinks, you don't have to set up a complete bar. Guests are "forced" to step out of their comfort zone and try a new drink. The selection of drinks can be customized to fit the party's theme or occasion. The cost is significantly lower because you do not have to stock a full bar. Creating a simple drink menu works for any party or gathering because it can be tailored to any occasion and purpose. This may be a simple three-martini menu for a business open house or a beach party where the blender's whirling up your choice of margaritas. 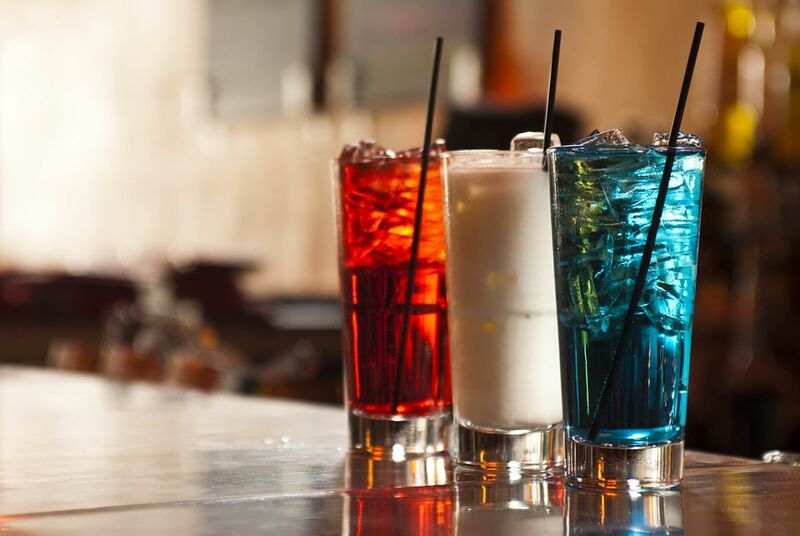 You can even choose cocktails of a certain color or style to match your party's theme. Your first decision in creating a drink menu is to choose which aspect that you want to focus on. It can be as fancy or casual as you like. There are literally thousands of cocktails available, so no matter what drink theme you decide to go with, there will surely be cocktails to fit. Let's explore a few ideas that can inspire your personal drink menu. This menu is all about keeping it simple and offering a few martini-style drinks for guests to enjoy. It's also one where you don't want to be cheap because a poor-quality liquor will ruin your drinks. Be sure to splurge on the good stuff. The key to cutting costs here is to create a cocktail menu that employs the same mixers in each of the drinks. This will allow guests to compare similar drinks while saving you money. If you stock sweet vermouth as well, you can turn any of these into sweet or perfect martinis. A martini menu can also be full of color and fruity flavors. For instance, you might choose a trio of vodka-based drinks like the cosmopolitan, deep blue sea martini, and lemon drop martini. Take guests back to the golden age of bartending by reviving some of the lesser-known classics on the cocktail scene. Many of these drinks require more time to prepare and you'll want to practice before serving them to guests. Once you get them right, you'll really be showing off your bartending skills. A tropical drink menu is perfect for any summer cocktail party. Blue drinks are always popular, so include at least one, and stick to rum and tequila as the base spirits. If you opt for a menu like this, be sure to have the freshest juices available and get creative with freshly cut fruit garnishes. When you think of frozen drinks, it's likely that margaritas, daiquiris, and coladas are the first to come to mind. While they do make great drinks, it's fun to choose some of their flavor variations to spice up the party a little. This menu is great for an exclusive or unknown spirit that you want to feature; scotch, pisco, cachaça, and sake are great choices. This fine-tuned menu allows guests to sample the mixability of a liquor they may not be familiar with and it's all about exploration. The brand really makes a difference here, so be sure to feature something that's top-shelf. This scotch menu is well-balanced, simple, and has just enough variety to peak most drinkers' curiosity. Now it is time to really tap into your creative side. There are countless party themes and many great ways to make your drink menu fit, but you'll have to use some imagination. When you have a special theme to work with, you have endless possibilities. For example, this is a "rocktini" menu created for a jewelry-making party and the hostess requested drier "up" drinks. We went with colorful cocktails and renamed to fit the theme just for this occasion. It's best to keep drink menus simple, somewhere around three to four drinks. Too many options can delay orders and some people will spend more time looking over the menu than they will socializing. Too few, and you run the risk of not appealing to some of your guests. Design and print out a drink menu or two to set on the bar. Make it easy to read and understand. If you rename a popular drink to fit a theme, include the common name so your guests can find the recipe later and make it at home if they wish. It's always a good idea to laminate or cover your menu with clear contact paper to protect it from spills. Offer flexibility with your menu. For instance, if you're serving a rum cocktail and have cola on hand, a rum and Coke should not be out of the question. Include a mocktail or non-alcoholic alternative for designated drivers and others who do not drink. Juice-based mocktails such as the beach blanket bingo also open the possibility of stirring up alcoholic drinks like a sea breeze.